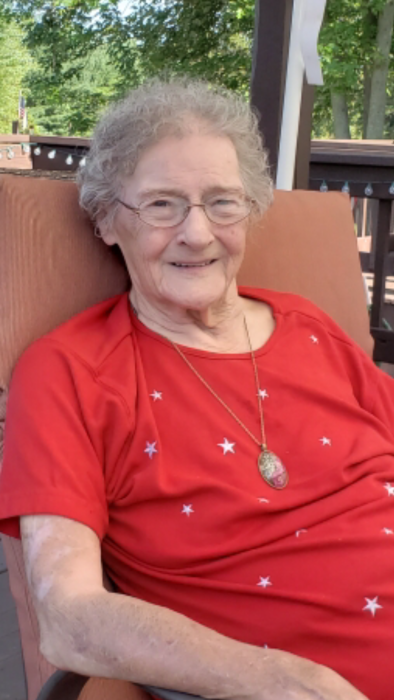 Mrs. Alberta “Bert” Belcher, age 83, passed away on Saturday, February 2, 2019, at Advent Health of Sebring, FL, surrounded by her loving family. Bert was born June, 10, 1935 in Brandenburg, KY, the daughter of the late Charles and Agnes Livers Sims. Mrs. Belcher was preceded in death by her parents; and her husband, Ray Belcher. She is survived by four children, Francis (Darlene) Belcher, Clarkson, KY, Jerry (Angela) Belcher, Brooks, KY, Carl (Leise) Belcher, Sebring, FL, Patty (Roger) Clark, Wauchula, FL; 7 grandchildren; 11 great grandchildren; and numerous nieces and nephews. Funeral Services will be held at 11:00 AM on Friday, February 8, 2019, at the chapel of the Hager Funeral Home. Burial will follow in Louisville Memorial Gardens West. Visitation will be held at the funeral home from 11:00 AM until 8:00 PM on Thursday, and from 9:00 AM until the time of service on Friday.